After Alice in Wonderland Chad Grothkopf did a couple more classic stories. 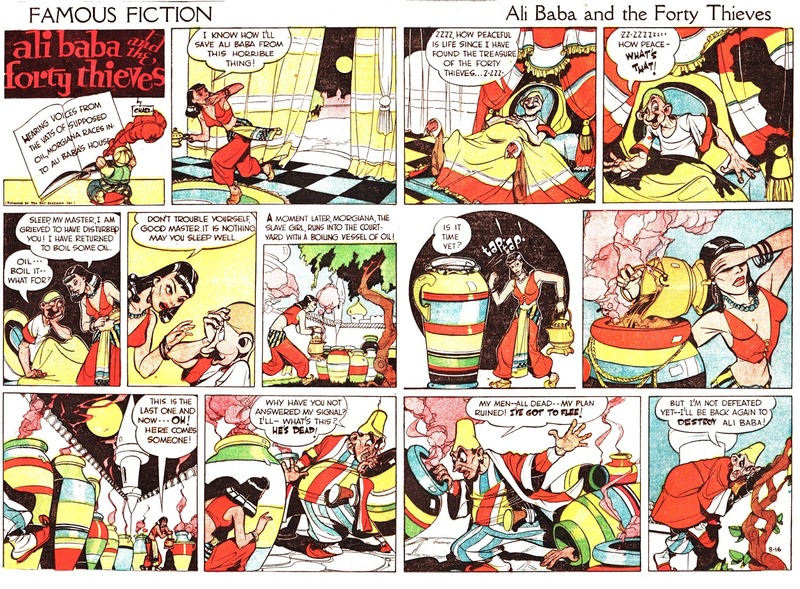 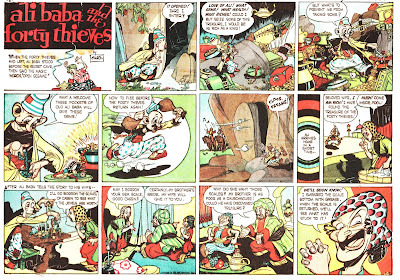 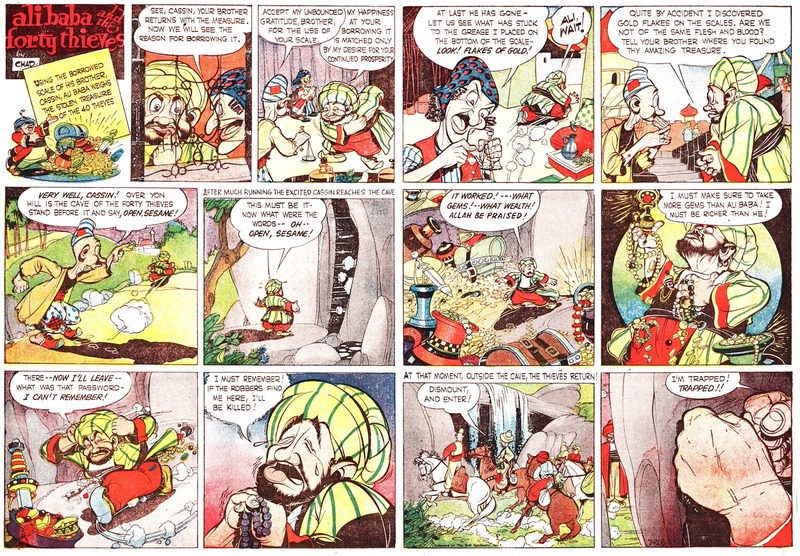 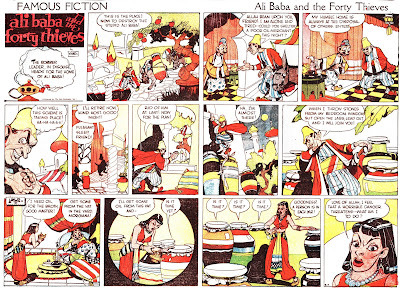 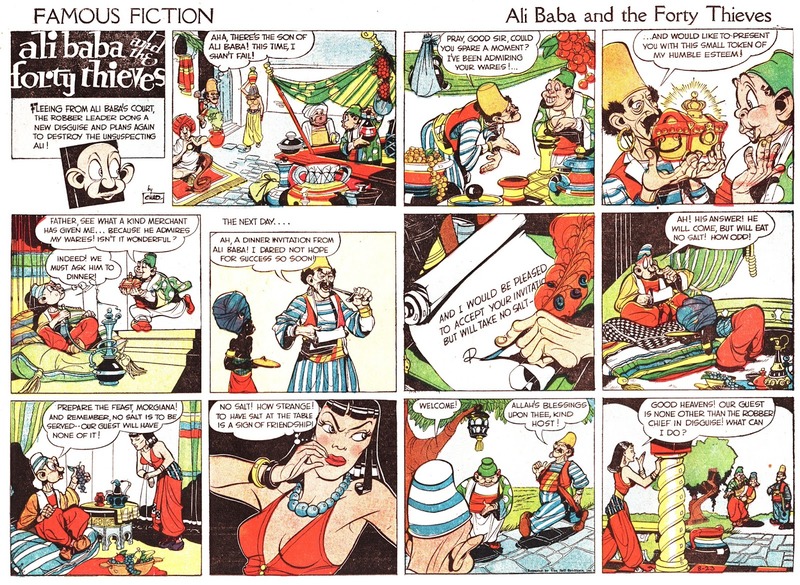 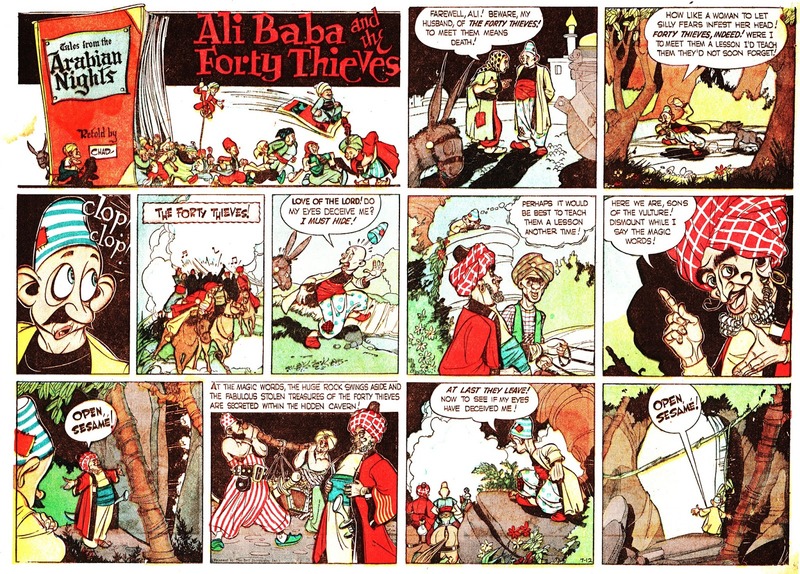 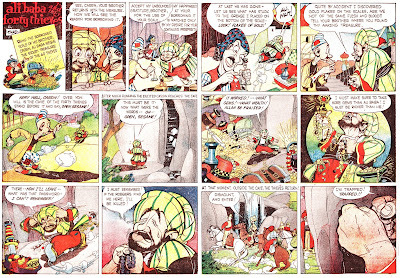 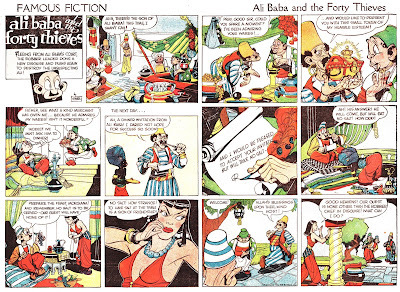 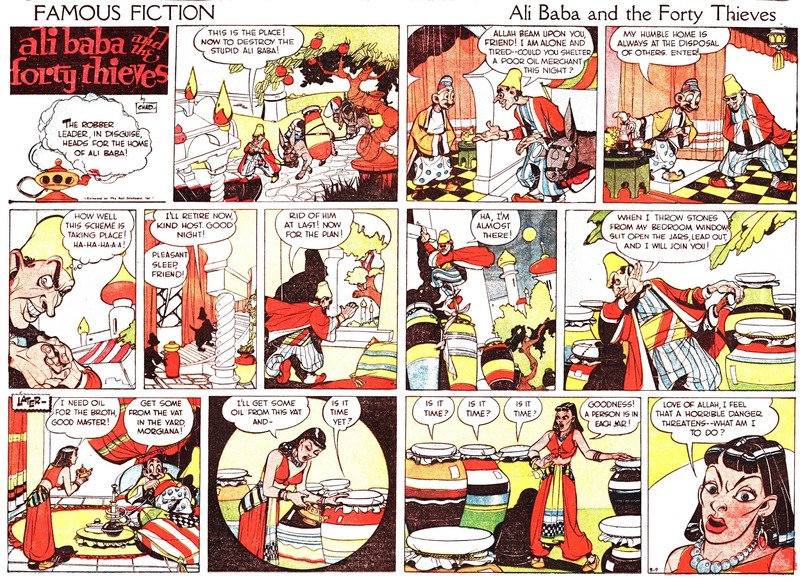 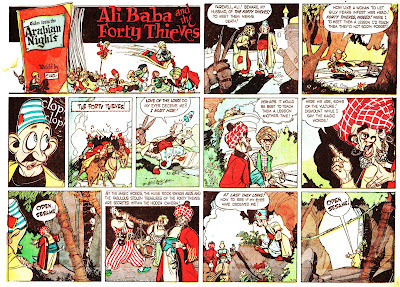 For Ali Baba he veered towards a more realistic style. I had a look to see if my earlier run of black and white microfiche scans had any extra, but they are the same set , so this may in fact be the whole story. 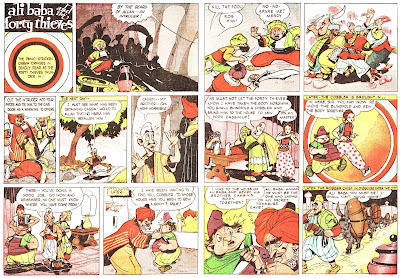 He certainly had a unique style for the era! 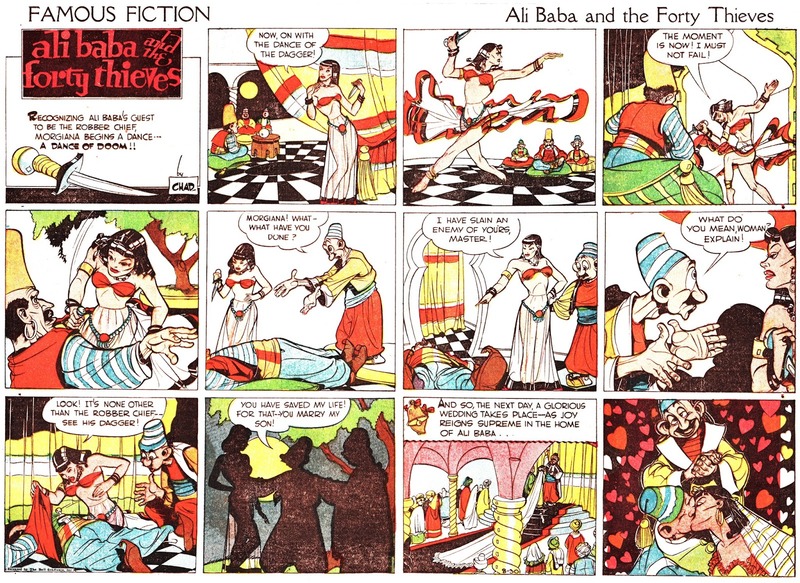 I can't wait to see the other stories he did.